Reload. Rev up. Ride out. The ultimate sport of kill-or-be-killed is now an explosive new experience, with mind-blowing new ways to move like lightning and annihilate enemies. For the first time, pilot a formidable force of battle vehicles that tear across land, skies and deep space. Load up pulverizing new weapons. Storm across 40 never-before-seen arena maps. Move faster, fly higher, shoot further. Hi guys. Yes, I'm still working on the mod, it's a long and painstaking job because I'm doing it alone. I have already done quite a lot, about 70%. All the most difficult is behind, it remains to make maps and fix some problems with the game engine. This video shows the quality of effects and hits, the movement of tanks, the quality of textures\shaders which spent more than 1000 hours modifying them many times. By passing all this, you can watch as the tanks cause damage, non-penetration or ricochet from the ground, as well as from the tanks will fall off the armor as during the battle what is called active armor, and after their destruction in different directions. Tanks will burn, smoke and damage effects. I modified their driving on smooth and flat areas of land. I also make some new beautiful maps with incredibly beautiful skyboxes. The mod will be released this year and will change parts of the game, as it changes a lot of standard things. Since the developers do not give the source code, I will make the most of what can be done from this engine.I postponed the date many times, because there were big problems at each stage of development, we have to constantly do everything in a roundabout way. Please forgive me, I try to do everything in my power because I am not a coder and have no experience in writing code. How do I do the mod? Better not ask =D. I complement the onslaught mode in the best tradition of Ballistic Weapon and it will be the latest and coolest mod for Onslaught. Good luck. See the video and say that is not Unreal3 or TES2004! Gameplay video of CrateDM. Shows off how you look like in game. Screenshots from the battlefield on the map ONS-DK-Dawn. 1st test effects and graphics, and mechanics tanks. The next update will be even more tanks, as well as the old will be replaced by higher quality. A fan patch for KFMod that include cut content, improvements as well as some bug fixes. Vistit malortie at menbers/malortie and mmmaster because these tow helped me whit my patchs. Does anyone know if is there a simple melee weapon mutator, or ucl file that can be used with other weapon mutators? Also, how do I make a ucl file for weapons and vehicles? 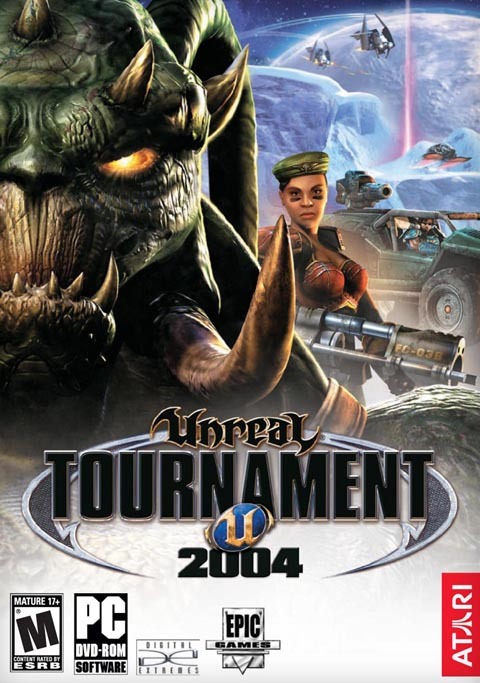 Does anyone know how to Modify XGame.u, because I want to Replace all the UT2004 Guns in the Campaign with the ones from Unreal Tournament: 2341 (which Adds and Replaces the UT2004 Weapons with HD UT99 Weapons). I Know this is possible because someone did it for Ballistic Weapons, and I want to know how its done. Are there any Modding Tutorials for UT2004? Because I want to make a Half-Life Weapon Pack for it. And I also want to know how to make Player Models. I can give you certain cluez for it. This is for programming purposes. So you can try using current UT models as placeholders for your weapons. Then for modeling and animating you need to use either blender, 3ds max or maya, depending of your possibilities and likings. For texturing most photo editors might work as long as you use appropriate formats for the textures. Making weapons with hands might be easier to start because making players requires you to have a rig that corresponds to the ones of UT2004 and work seamlessly without looking wrong. Are there more weapon mutators than these ? Outside Chaos Unreal , Gunreal of course because i have them too . Any chance to have Quake/Quake III Arena , Star Trek Elite Force I/II or other weapons one day ? For quake 3 weapons only UT 99 have something like that, even if it's not an accurate depiction of Quake 3 you can find something close to that. I have to say for the lase mod I don't know much about it. I mean many weapon mods have multiple ammo types for one or two weapons even the Unreal II port. In a way if people wants an elite force weapons pack, I think we need a few people and a lot of time. I don't think Nali weapons will be ported, the modder who made them is on other projects. Virtually, yes, but you need to get the manpower which is the harded thing to get these days. Even projects towards who I work to a certain degree advance very slowly now. Purely epic game. Hours wasted, especially with all of the mods. RT @WiredP: Will you #TrustTesla or #FearHisScience? Watch the brand-new #CloseToTheSun video and cast your vote now!